With legalization on the rise, more and more people are making the decision to grow weed inside their homes and apartments. This beginner’s guide to indoor cannabis cultivation will break it down to the basics and help you get your grow started. When it comes to growing your own marijuana, starting out is the hardest, and most expensive, part. You’ll have to become familiar with the marijuana laws in your area and set up a suitable garden so that your plants can flourish. Follow these three simple steps and you’ll be off to a good start and growing in no time. Growing weed indoors typically involves not just plants, but also an abundance of equipment, so you have to keep this in mind when picking out a location for your garden. You’ll need enough space to accommodate the tall, flowering plants along with lights, fans, and other equipment. If you’re looking into growing your own cannabis, chances are you’ve sampled a strain or two yourself before. Whether you’re a fan of sativa, indica, ruderalis, or some hybrid of the three, you’re in complete control when it comes to choosing which strains go into your garden. Aside from personal taste, there are other factors to keep in mind when selecting a strain. Before you settle on a strain, look into its THC and CBD content, the yield rate, growth time, and other variables. Grow a variety of different plants or become the master of your favorite strain, it’s up to you! But first you have to decide between seeds vs. clones. Growing cannabis the old-fashioned way, with seeds, can be quite a rewarding experience. Feminized marijuana seeds can be bought at most dispensaries or online from a reputable seed bank. Once you have your seeds, the first thing you need to do is germinate them, which means they’ll begin to sprout. There are a lot of different methods for germinating seeds. You can place seeds on a moistened paper towel in a warm, dark place, you can germinate directly in the soil, or you can go all out and buy a fancy germination station. Higher yield – Cannabis is an annual plant, meaning that when it completes its life cycle and finishes producing cannabis, it dies. Marijuana plants weren’t designed to be cloned and live longer than a year; this causes the plant stress and weakens its ‘vigor’. As a result, clones tend to produce less buds than cannabis plants grown from seeds. Hardier plant – Cannabis plants grown from seeds develop a strong, anchoring root system called a Tap Root. Clones are incapable of producing a Tap Root and develop a weaker, fibrous root system instead. When you grow from seeds, your cannabis plant will be stronger against temperature changes and more adept at absorbing water and nutrients. Higher chance of failure – Cannabis seeds must be germinated and carefully transplanted into their pot, meaning there’s plenty of room for error. During this process, the seeds can be damaged or drowned. Even under the perfect conditions, some seeds are too weak to sprout into viable plants and will die anyway. 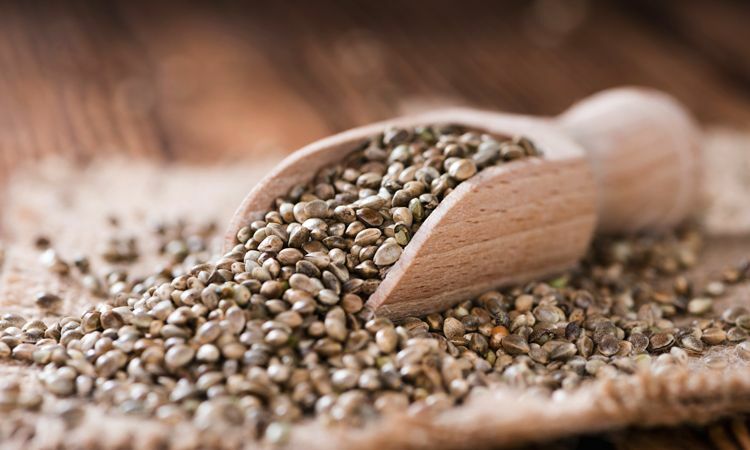 When you grow marijuana from seeds, it’s recommended to buy more seeds than you’ll need in case of failures. Longer wait time – Growing cannabis from clones is a huge timer, since the plants are already a month or more into their growth cycle. When you grow from seeds, you’ll have to wait longer before you see the final product. Clones are genetic copies of another ‘mother’ plant, created by cutting off and replanting a branch. Clones that are typically for sale at dispensaries have already sprouted and will be ready to be repotted in about a month or less. Known genetics – There’s a bit of mystery when it comes to growing marijuana from a seed. Much like when parents have a baby, the offspring may be similar to them, but they won’t be exactly alike and there’s no way of knowing how they’ll turn out. When you grow from a clone, you’ll end up with an exact genetic copy of the mother plant – so there won’t be any surprises in terms of flavor, THC content, or other variables. Shortens wait time – Clones are already partway developed, so you’ll see the final results sooner if you’re growing from clones. When you skip the processes of germination and initial planting, you can end up saving yourself over a month’s worth of waiting. Mildew and pests – Clones run the risk of suffering from mold, mildew, viruses, and pests that seeds are far less likely to incur. While reputable dispensaries will inspect their plants for bugs and molds, some illnesses and abnormalities can be hard to detect and may go unnoticed. It’s important to always inspect your clones yourself and quarantine them from any existing plants when introducing them to your garden. 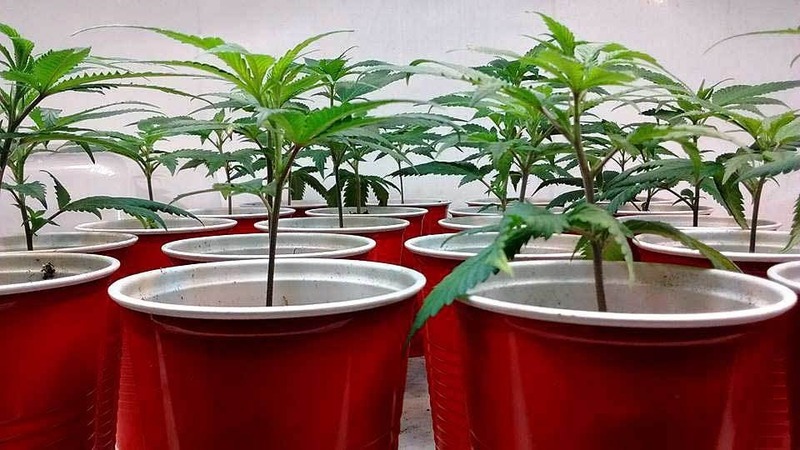 Stunted growth – Since clones develop a weaker root system than plants grown from seeds, they commonly experience stunted growth, particularly when transplanted into their pots too early or too late. Depending on the generation of your clone, weakened genetics and a loss of ‘vigor’ may be another explanation for stunted growth and lower yield. The amount of equipment needed to grow quality cannabis can seem overwhelming and expensive, but with proper planning, it can be very manageable. You can even buy all the equipment you’ll need at once in a growing kit, saving yourself the hassle of shopping for each piece separately. However, if you’re on a budget, you’ll definitely want to consider buying your equipment individually — particularly secondhand from websites like Craigslist, apps like LetGo, or from good old-fashioned yard sales. Lighting will play one of the most important roles in the growth of your cannabis, so you’ll want to invest the majority of your budget in quality lighting. 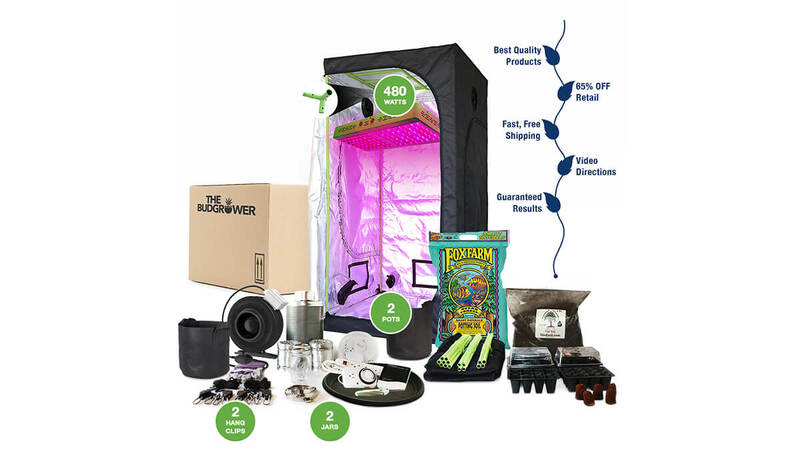 There are four types of lights commonly used for growing marijuana: LED (light emitting diode), HID (high intensity discharge), Florescent, and Induction Grow. Generally speaking, you’ll want 65 watts of lighting for every 1 sq. ft. of grow space, with the lights hung 10-20 inches above. Cannabis needs fresh, flowing air to grow big and strong, which can be a bit of a problem when growing indoors. Stagnant air is deadly to your plant; it becomes uncomfortably warm, is lacking in CO2 (which plants need), and turns into a breeding ground for mold. Marijuana plants are most comfortable around 70-85°F with the lights on and 55-70°F with the lights off, so a fan (not pointed directly at the plants) is especially important if your lighting setup produces a lot of heat. You’ll need an exhaust fan exiting towards the ceiling to remove the warm air and a regular circulating fan to bring in fresh air. To mask the smell of your cannabis plants, an exhaust fan with a charcoal filter may be the perfect solution. Cannabis plants are sensitive to temperature and light, so setting up a basic thermostat and light timer is a simple way to ensure that you’re growing the best quality weed possible. You can use a thermostat to monitor your grow room’s temperature and automatically control your exhaust fan and cooling system accordingly. With an outlet timer, you can be certain that your marijuana plants are being exposed the precise light/dark cycle that they need. When cannabis is in the vegetative state, it requires 16-20 hours of light per day; once it begins flowering, the plants will crave 12 hours of light and 12 hours of darkness. Additionally, getting a pH test kit will help you monitor the acidity of your water, fertilizer, and soil or hydroponic medium. Cannabis thrives in soil with a pH balance between 6 and 7 and should be in the range of 5.5 to 6.5 when grown hydroponically. Growing marijuana indoors gives you the opportunity to grow either with or without soil. Using soil is the easiest, cheapest, and, of course, most traditional method. When you’re selecting which soil to use, keep in mind that your soil should contain the right nutrients and have an appropriate pH balance (6-7). The nutrients most important to cannabis growth are Nitrogen (N), Potassium (P), Calcium (Ca), Phosphorus (Ph), Magnesium (Mg), Iron (Fe), and Copper (Cu). Many soils today are pre-fertilized, but there’s always the option to use organic potting soil and add the nutrient supplements of your choosing. While growing in soil is a tried and true method, hydroponics (soilless) cultivation is rising in popularity. Hydroponics works by growing the plants directly in the water with mineral nutrient solutions. This technique can lead to bigger yields and faster growth, but it can also end in disaster for beginners. Plants grown hydroponically are susceptible to underfeeding and nutrient overloads, making them difficult to care for properly. There are hydroponic systems available to make the process more foolproof if you aren’t limited by your budget. When choosing a container to grow in, the two main factors to consider are drainage and size. Firstly, make sure your container has holes drilled into the bottom so that water can drain away from your plants. Waterlogged conditions can and will kill your cannabis. Second, ensure that your plant has enough room to develop and grow. The general rule of thumb is to have at least 2 gallons for every 12 inches of anticipated final height. Now that your grow room is set up and your cannabis is successfully planted, you’ll need to dedicate time each day to care for your garden. The two most important steps of basic care are watering and monitoring. Cannabis plants love water, but accidentally overwatering them can be easy and deadly. You should water whenever the top 2 inches of soil is dry, approximately up to your first knuckle. The amount of water needed differs depending on your grow setup and the strain, but most guides recommend adding water until the dirt is completely wet and a little water is running off. Water whenever you see that the soil is dry. Tap water is perfectly fine to use as long as the pH level is between 6-7; you can use pH test strips to check your water. Other than watering your cannabis plants, you’ll want to monitor their health and progress each day to ensure they’re growing properly. Make sure your soil has the correct amount of nutrients, water, and pH balance. Monitor the amount of heat and lights in your grow room. Inspect your plants for signs of pests, mold, and other abnormalities. If you show your garden love, it will repay you with quality weed.